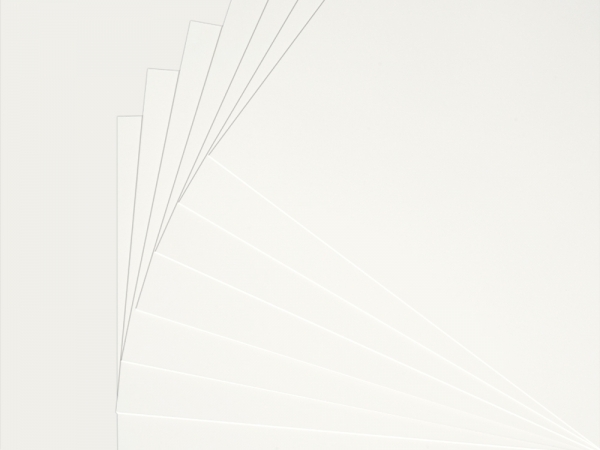 An inexpensive, natural white, solid colour (dyed throughout) conservation board manufactured in ES-quality, possessing excellent diagonal cutting characteristics. Ideal for conservation-quality picture framing and mounting, displays and museum exhibits. The board is free of optical brightening agents and has passed the Photographic Activity Test (PAT) in accordance with ISO 18916.